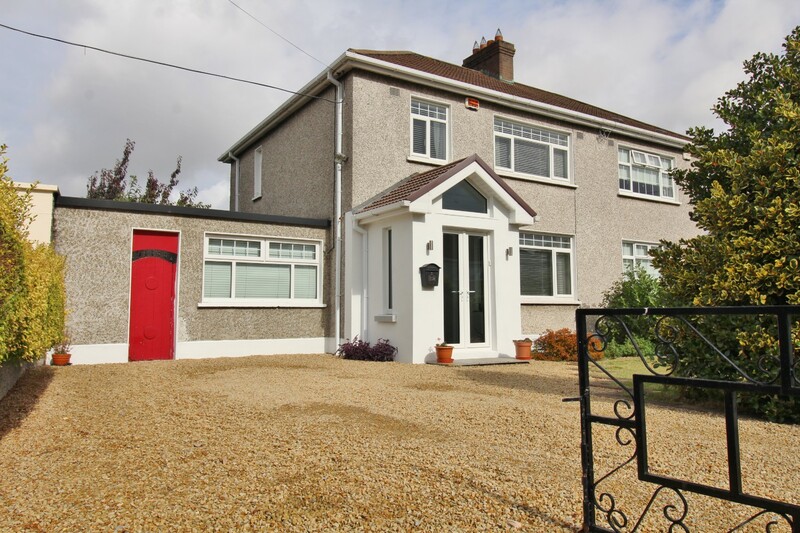 Castle Estate Agents are delighted to present 102 Rockfield Avenue, a truly special, modernised and extended semi-detached family home perfectly positioned in this mature and much sought after residential road. 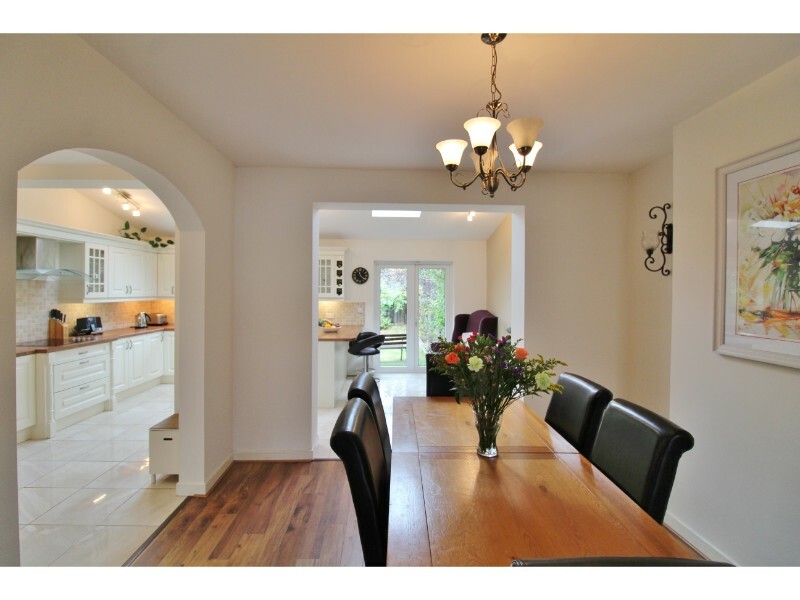 No expense has been spared to make this a superb contemporary family home which was refurbished to an exceptionally high standard. 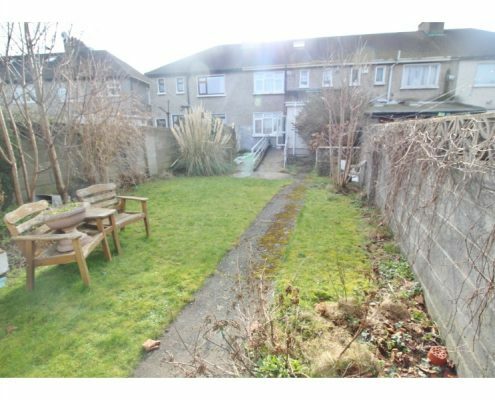 This large property offers light-filled and well-proportioned accommodation which functions and flows effortlessly for modern family living. 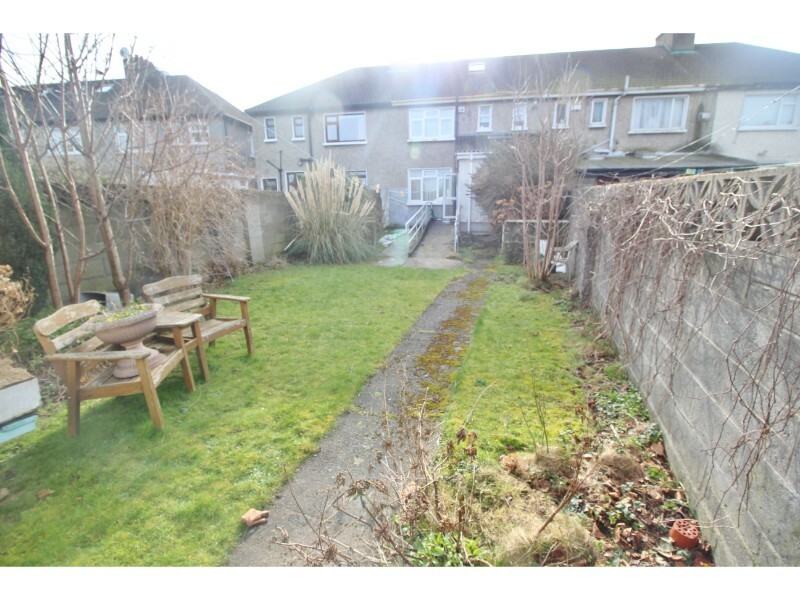 This fine family home has been extremely well maintained throughout and still provides excellent potential to extend to the rear or side should you needs require more space (subject to planning). 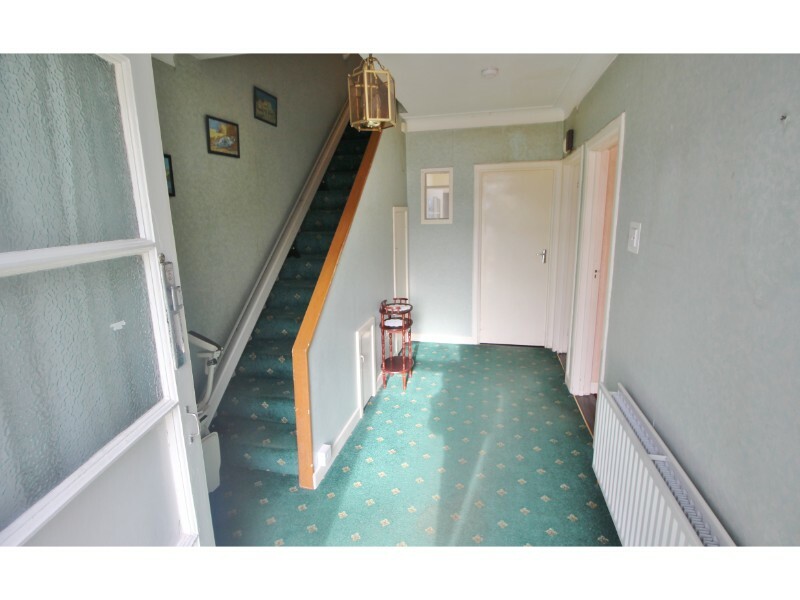 Accommodation downstairs comprises of a wide entrance porch with doors leading to the hall with a guest WC , livingroom, kitchen/dining room. 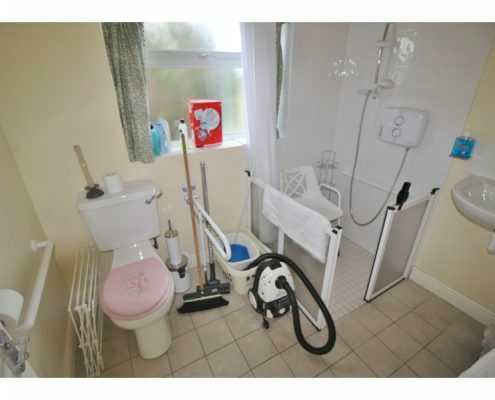 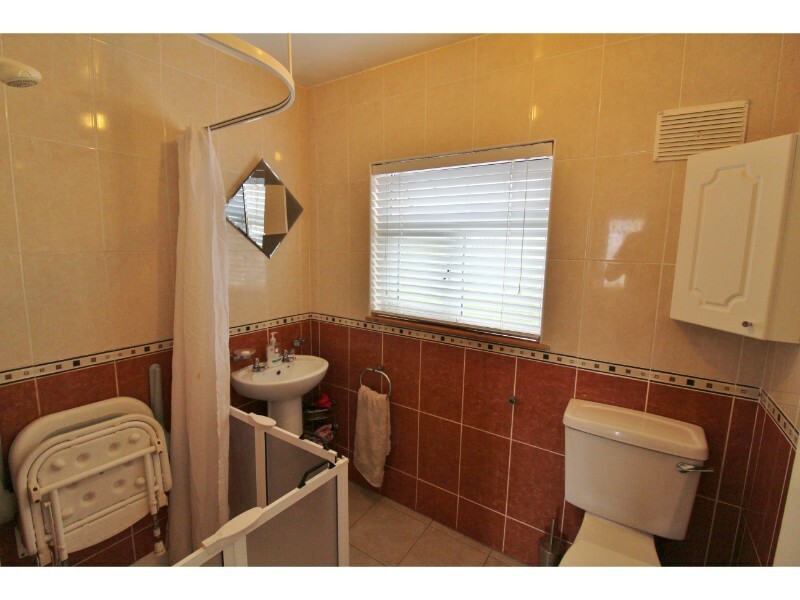 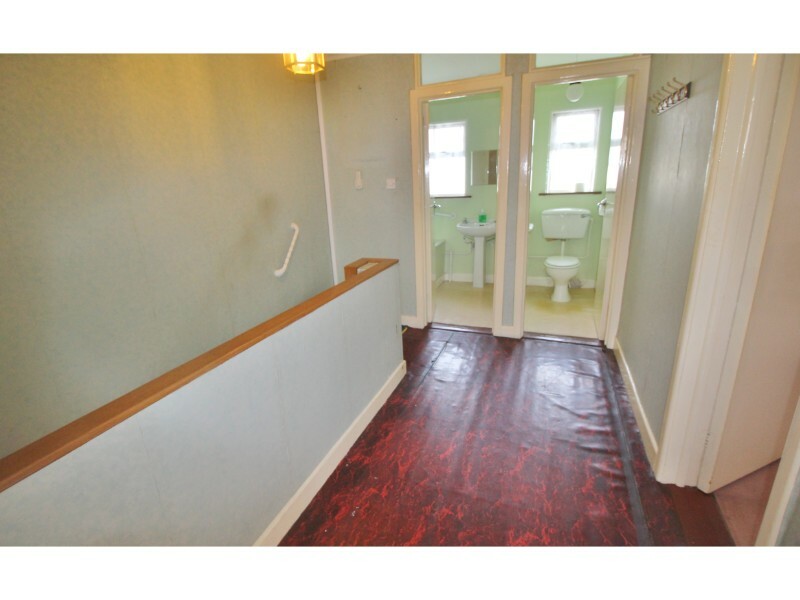 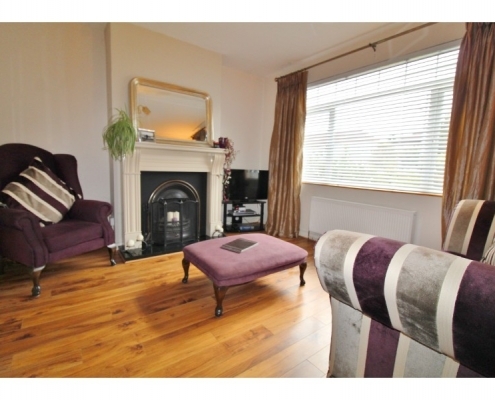 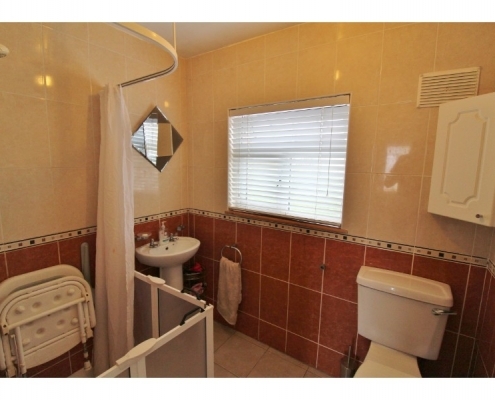 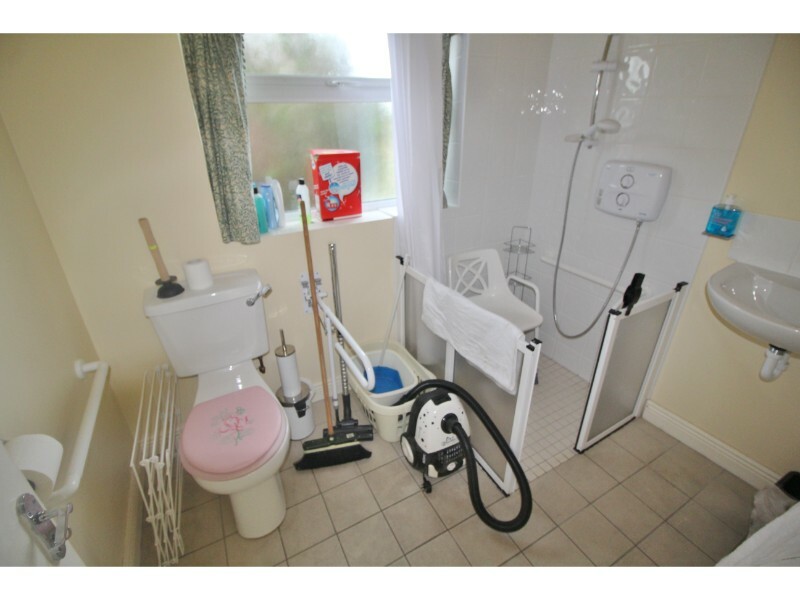 Upstairs are 3 bedrooms (two spacious doubles and one single) and a family bathroom. 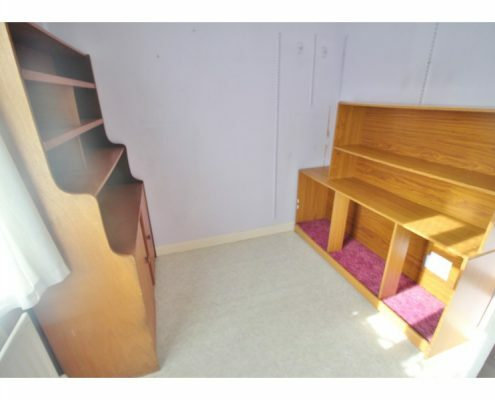 The attic provides all important additional storage. The rear garden area is perfect for enjoying and entertaining during the long summer evenings which is private and laid in lawn with plants, shrubs, and trees. 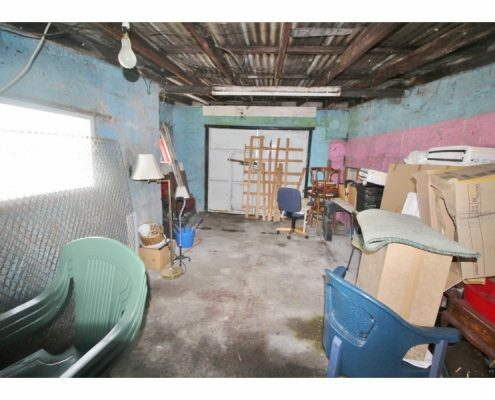 There is a large garage and side access . 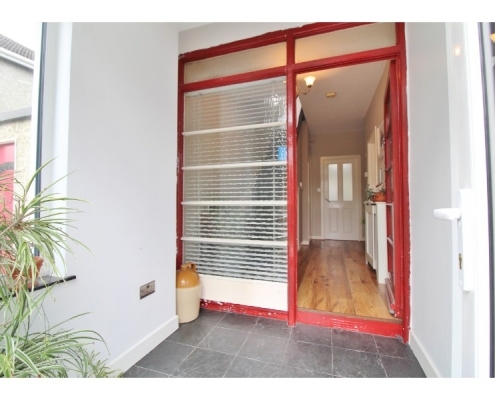 To the front is a gated driveway providing ample off-street parking. 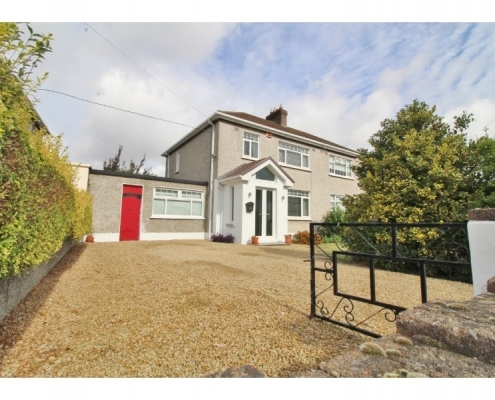 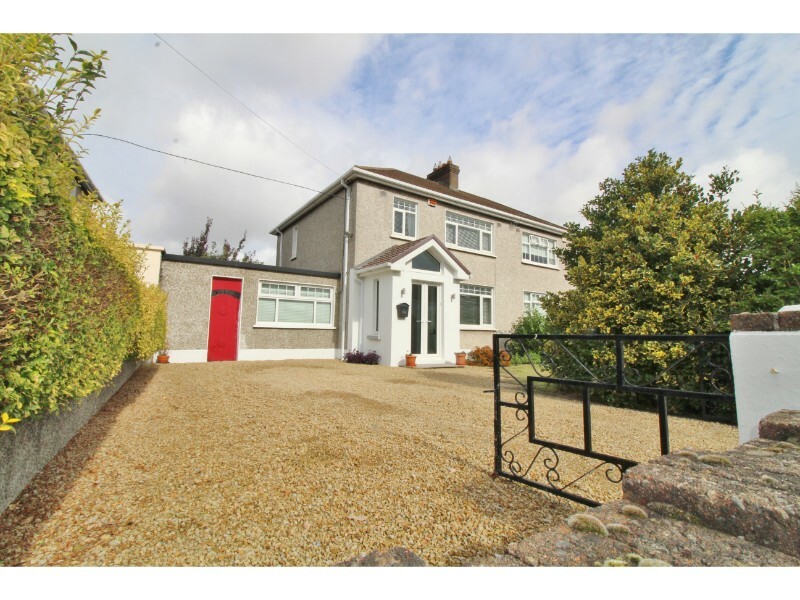 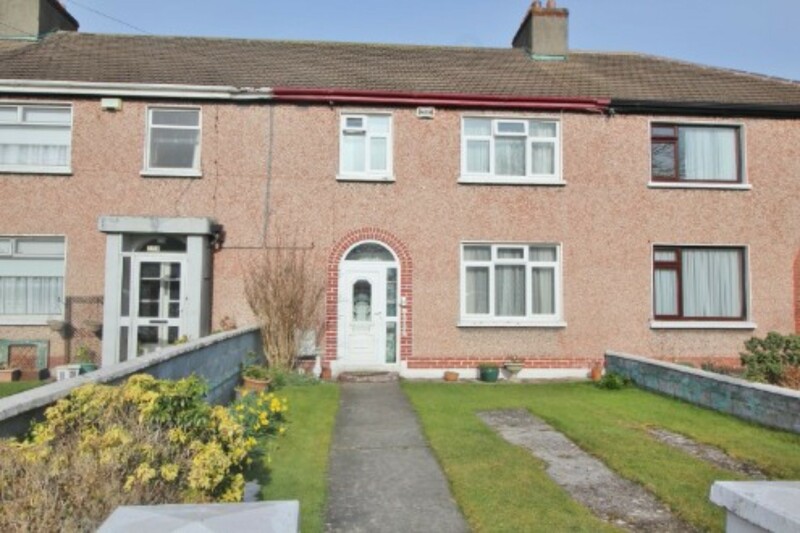 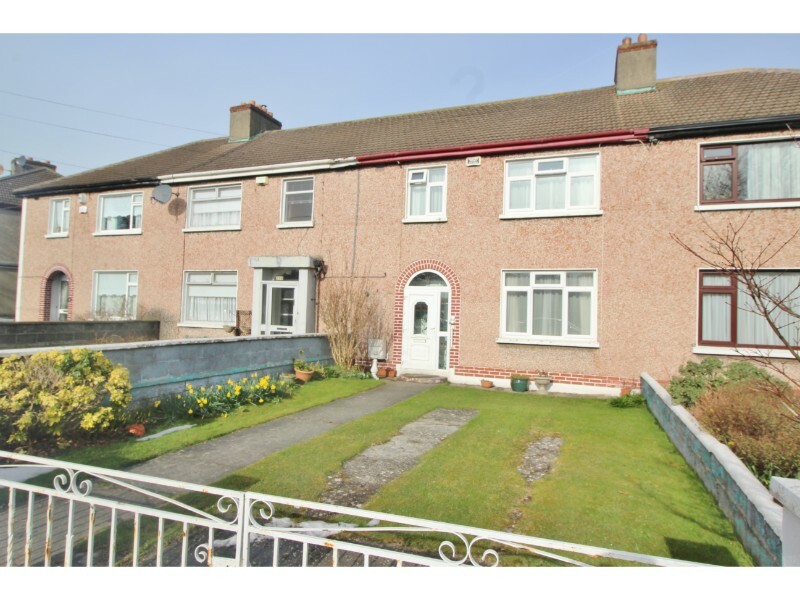 The tree lined location is second to none being close to all amenities, local shops, bars and restaurants within close proximity to the M50. 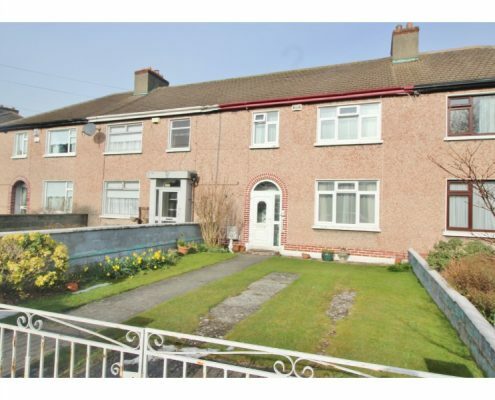 Both Terenure and Templogue villages and all they have to offer are also close by. Public transport is well catered for with bus routes 150 and 15A both just a short stroll away. 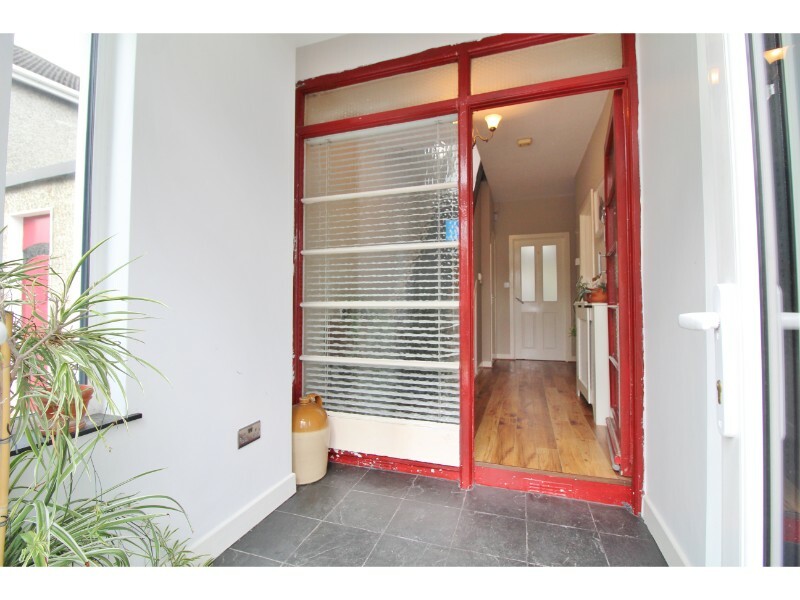 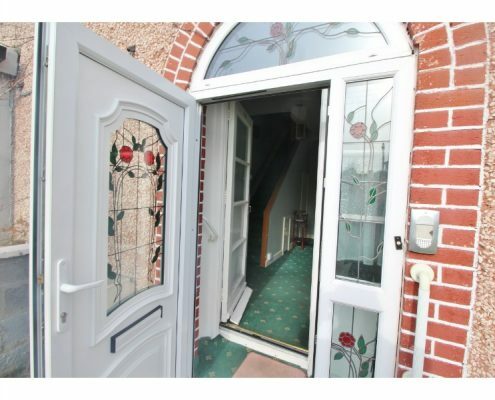 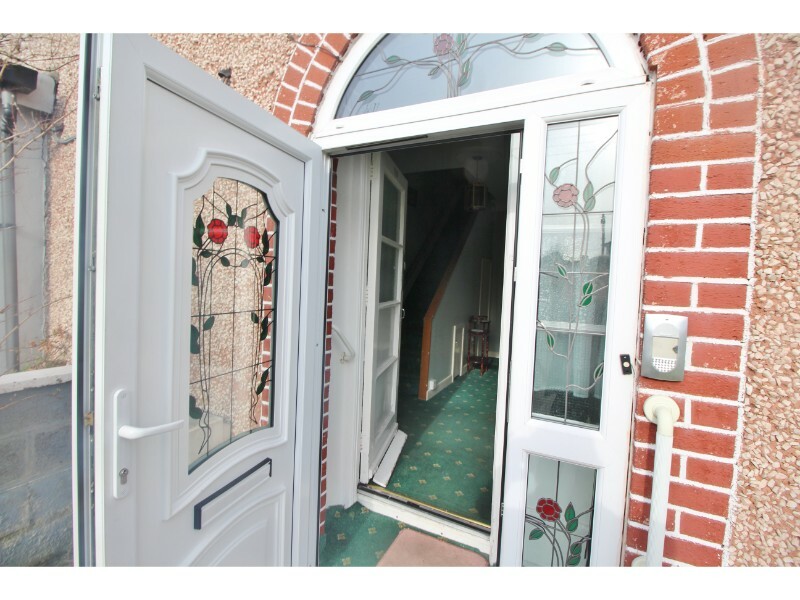 Porch: 1.81m x 1.94m – Triple Glazed, slate flooring. 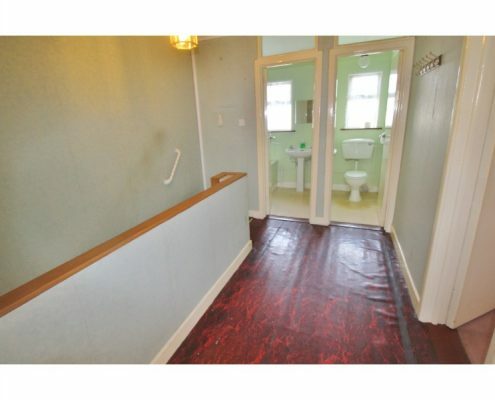 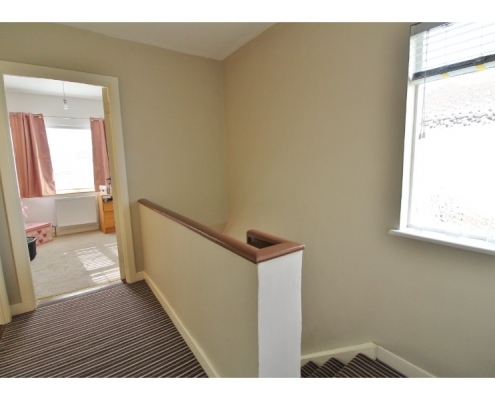 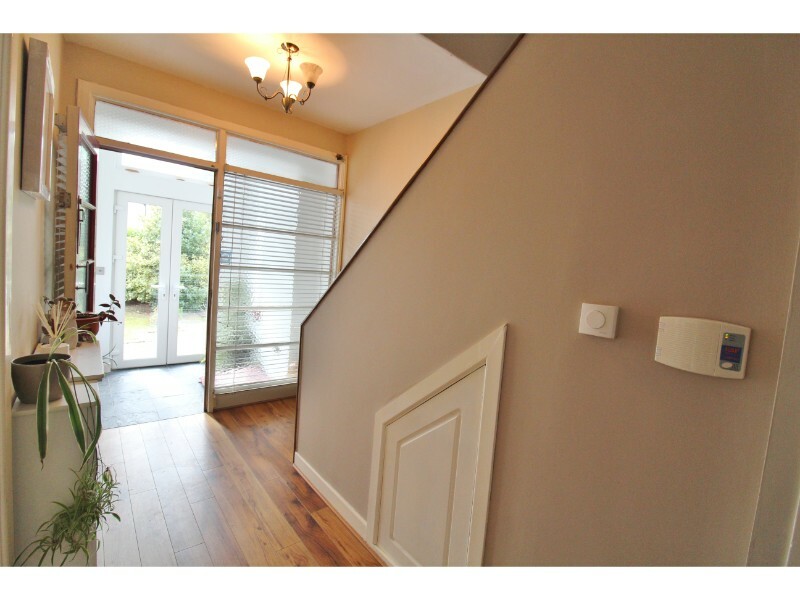 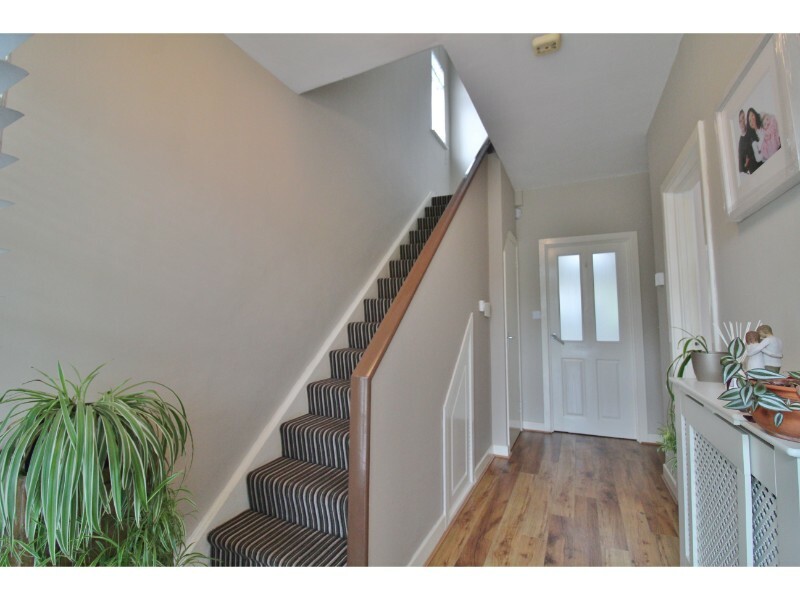 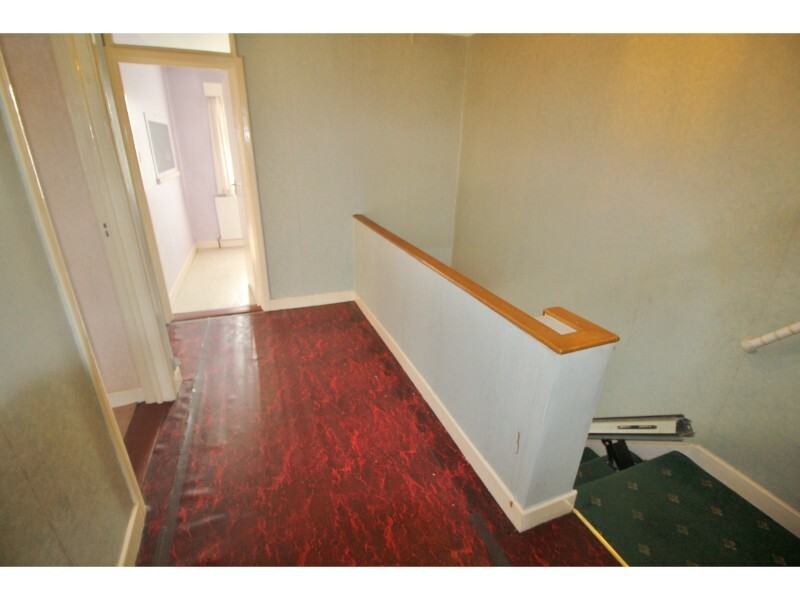 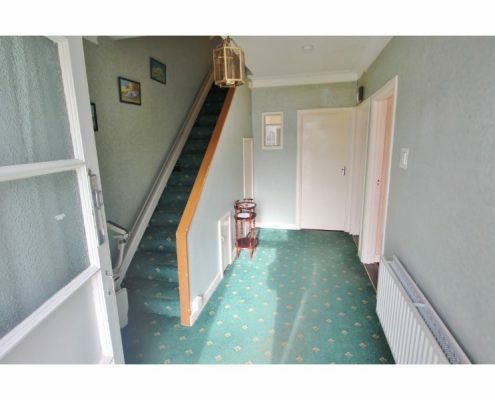 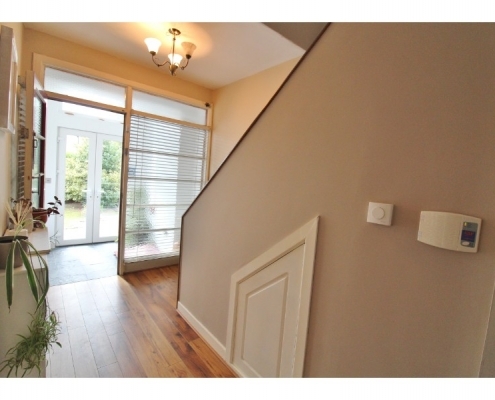 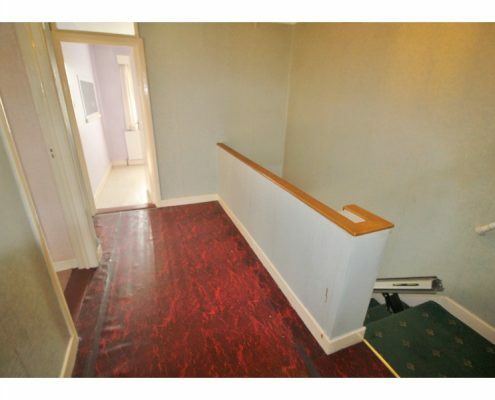 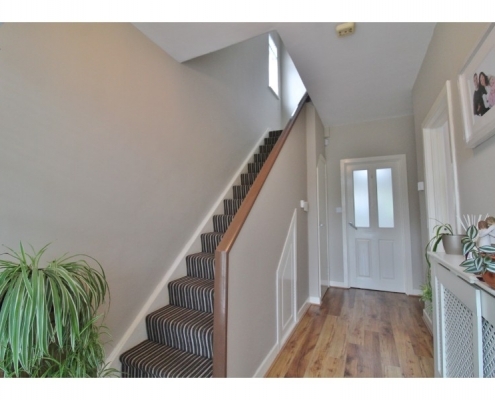 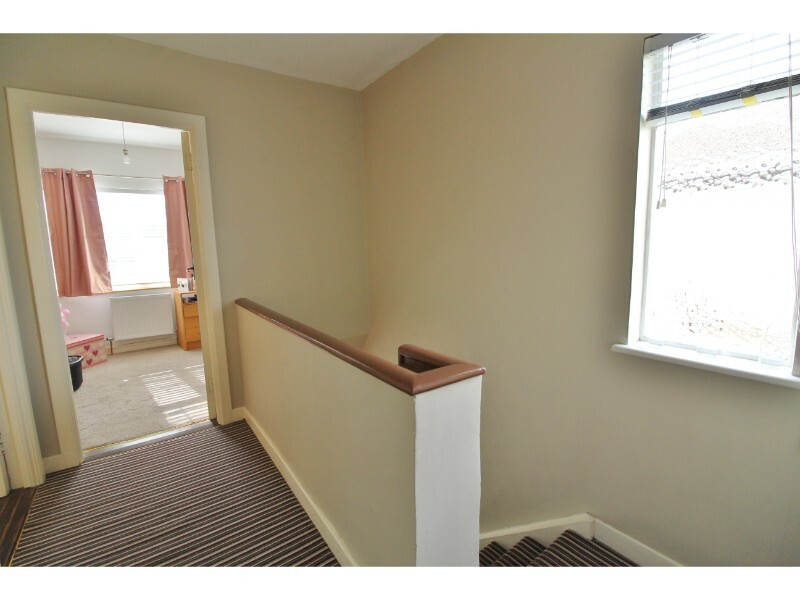 Hallway: 2.1m x 4.17m – Wide entrance hallway with solid wood flooring, under stair storage, alarm point, smoke alarm and coving, guest WC. Sitting room: 4.17m x 3.66m – Spacious sitting room with open Spanish marble fireplace, solid wood flooring, centre rose and coving. 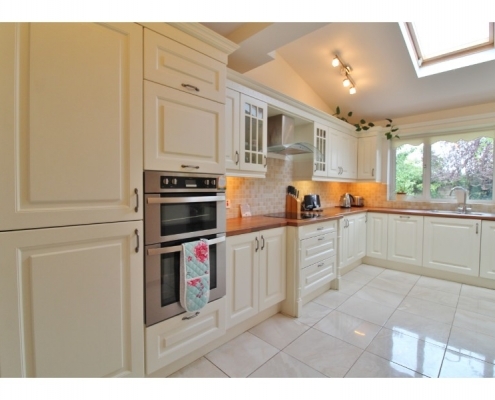 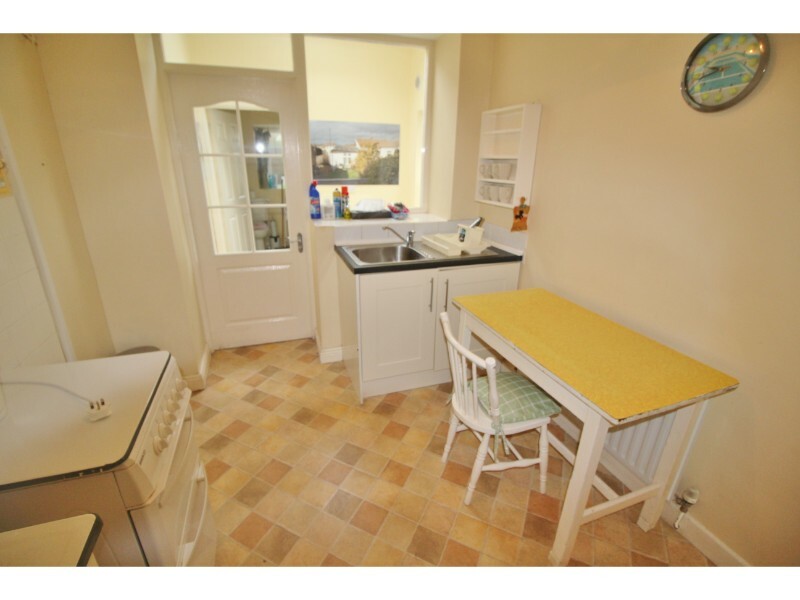 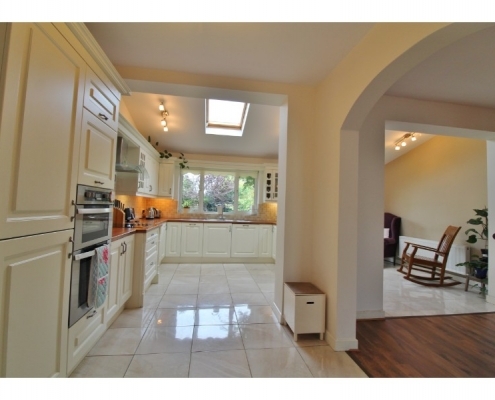 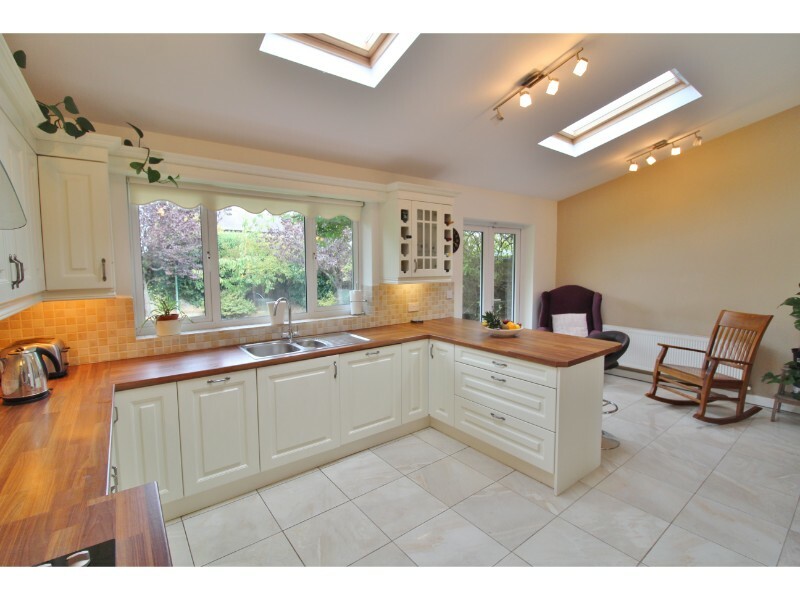 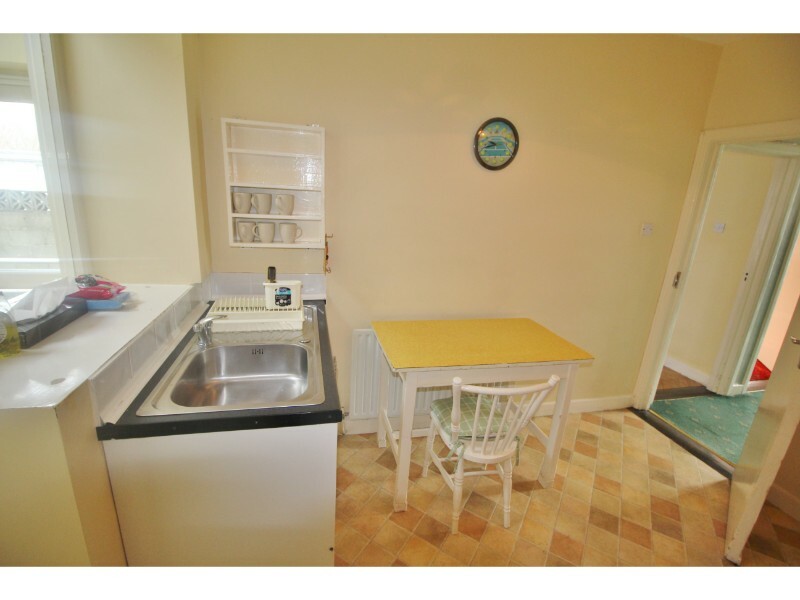 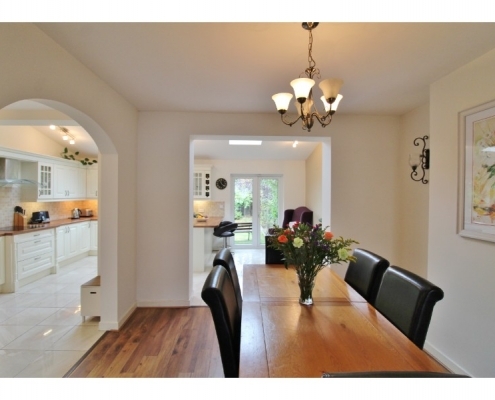 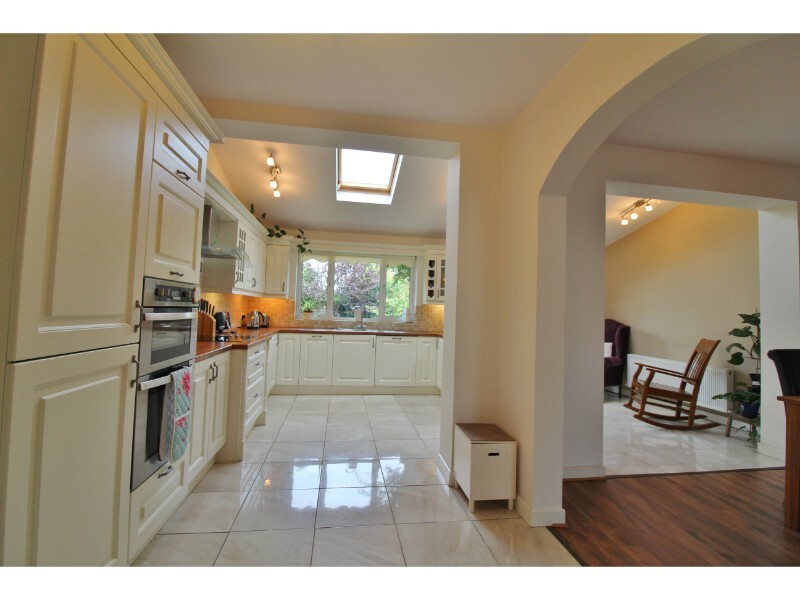 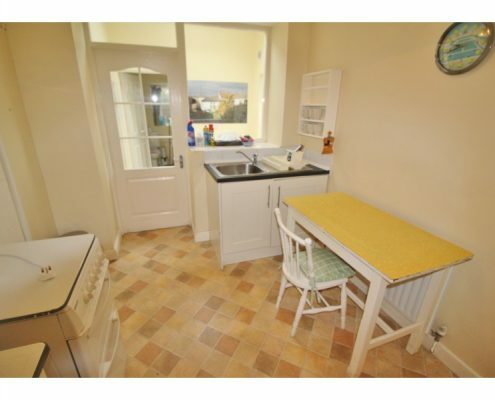 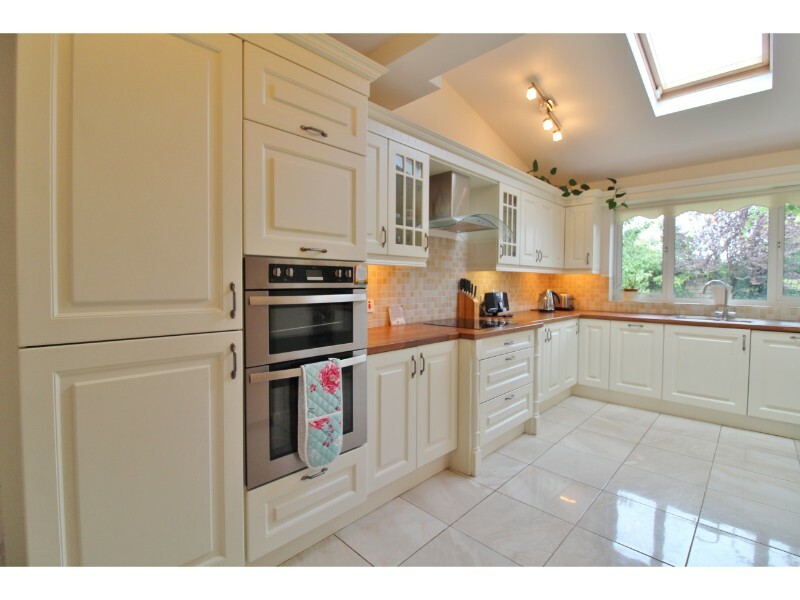 Kitchen: 5.46m x 2.96m – Fully Fitted cream kitchen, with wooden worktops, and ceramic tiled floor with door to garage and French doors to rear garden. 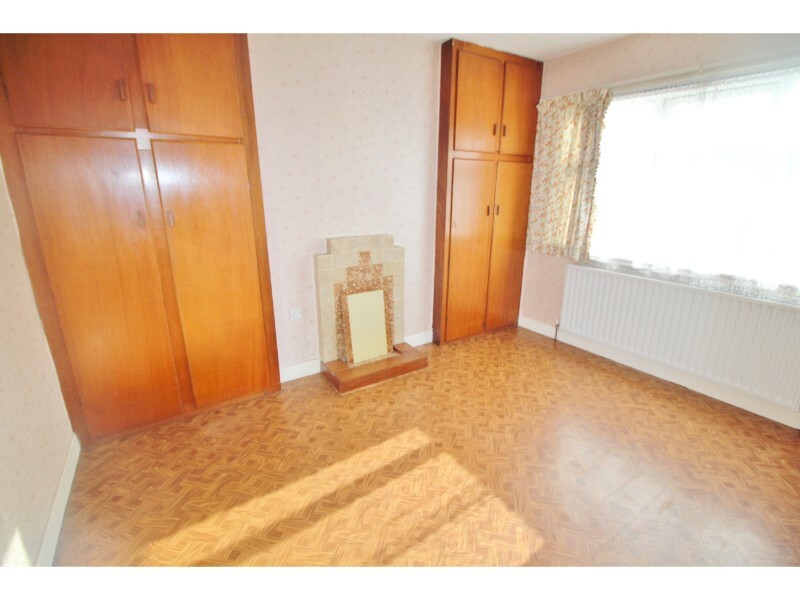 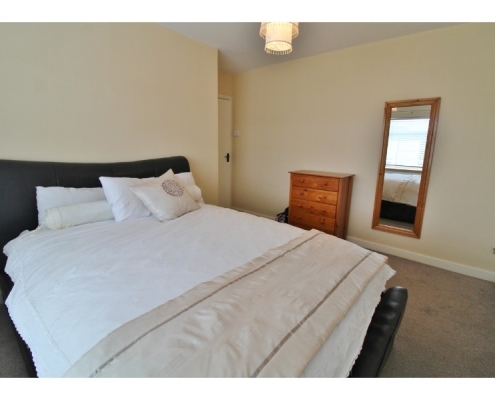 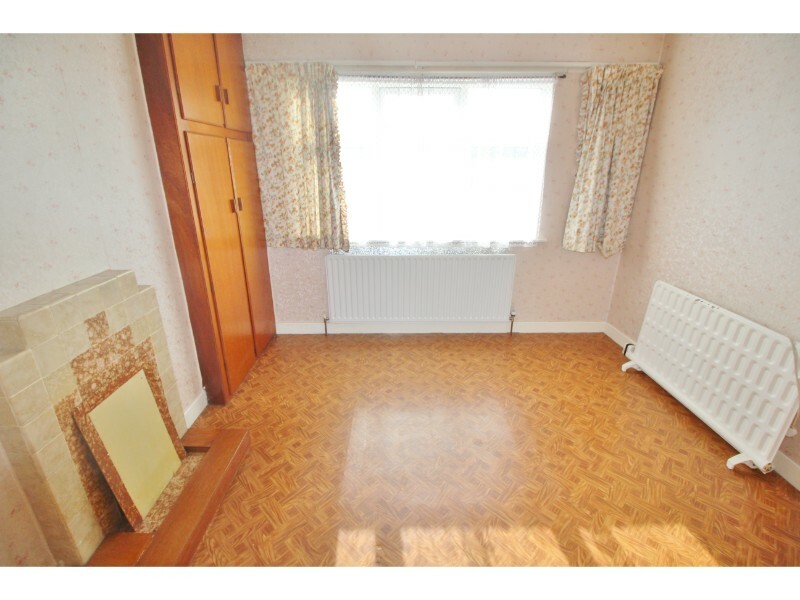 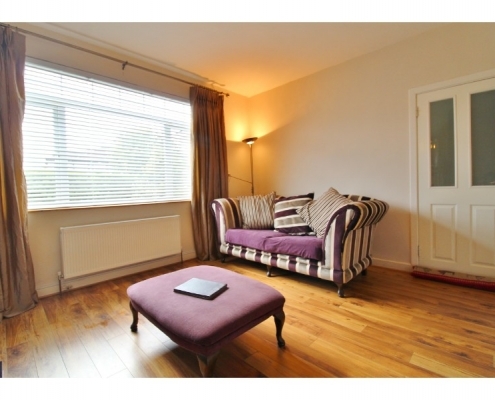 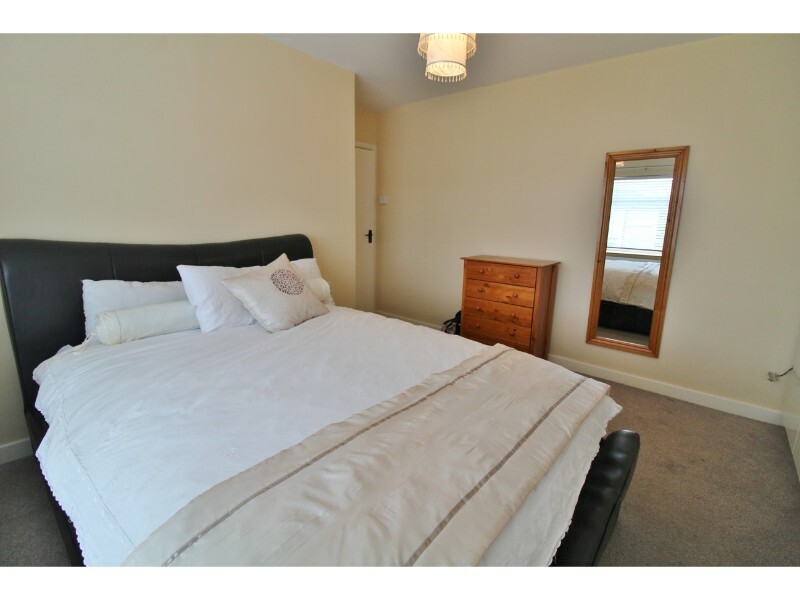 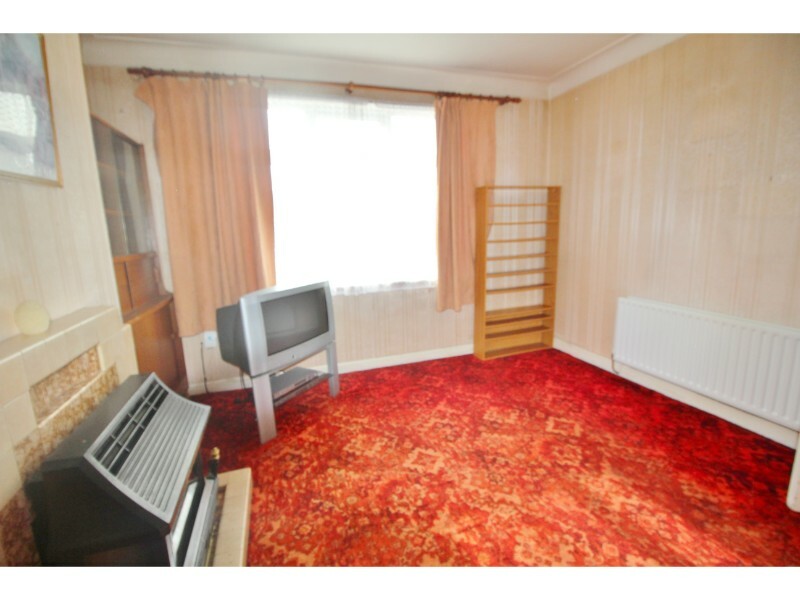 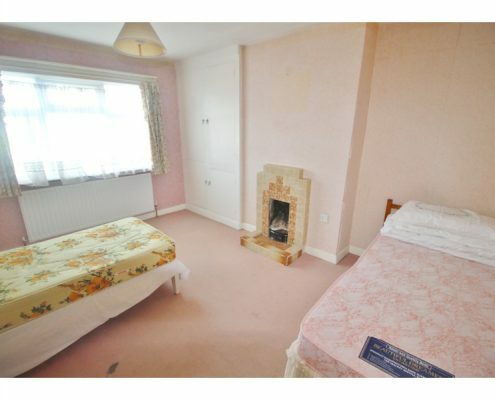 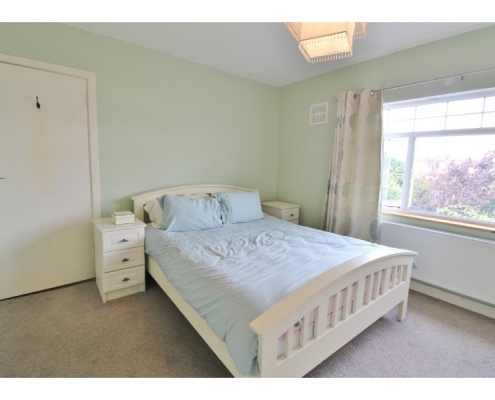 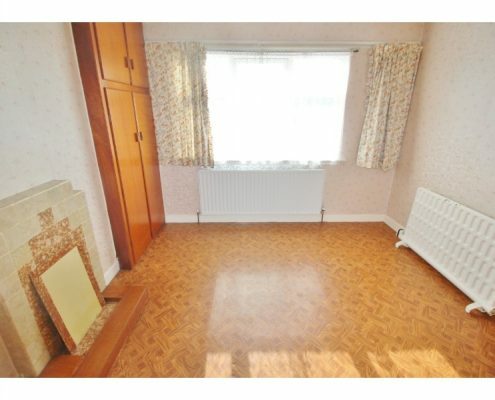 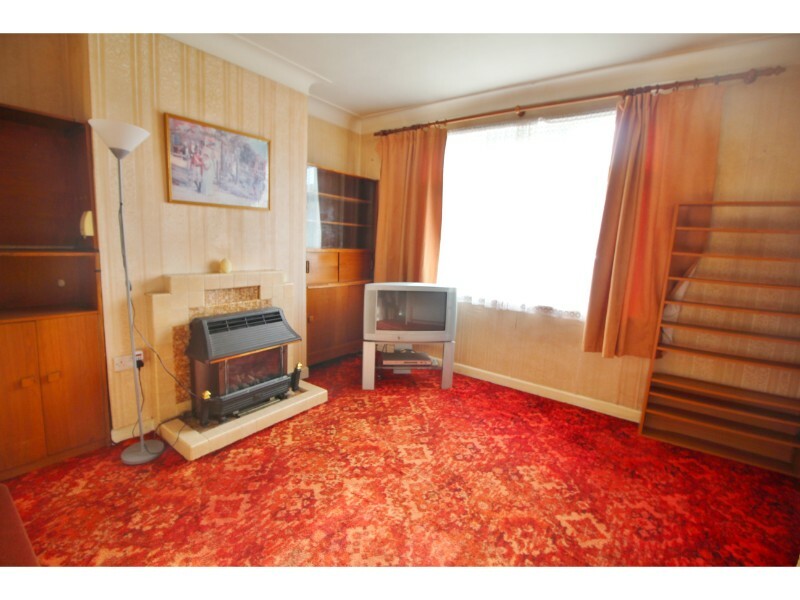 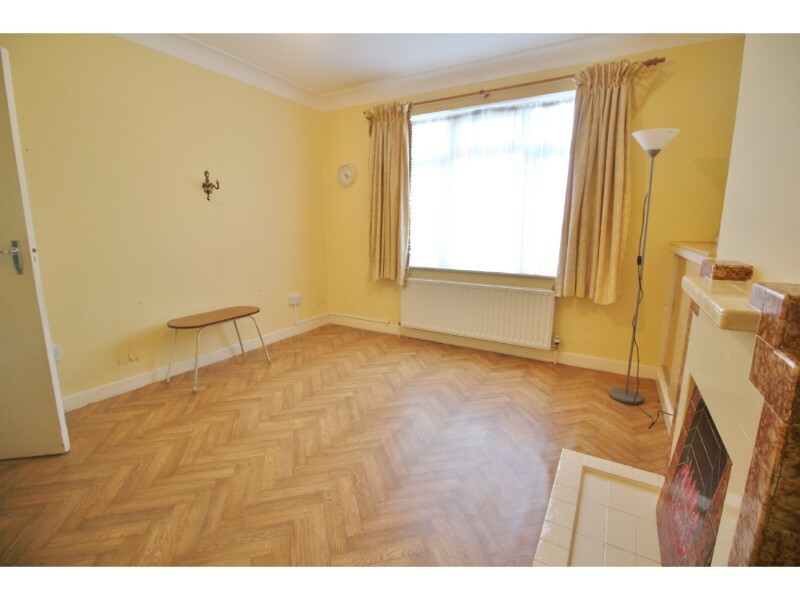 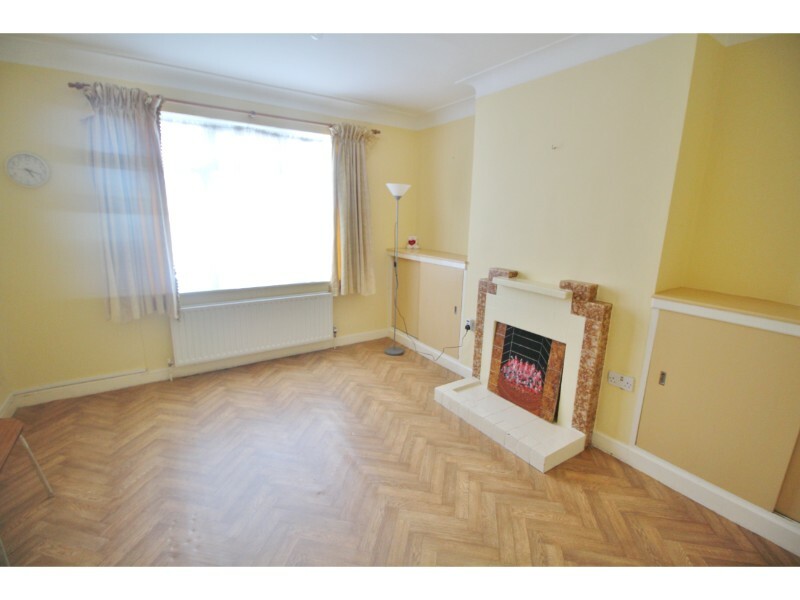 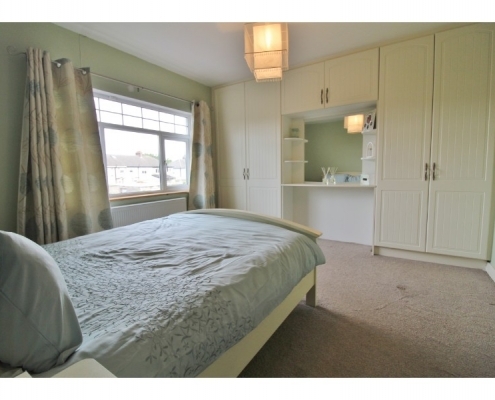 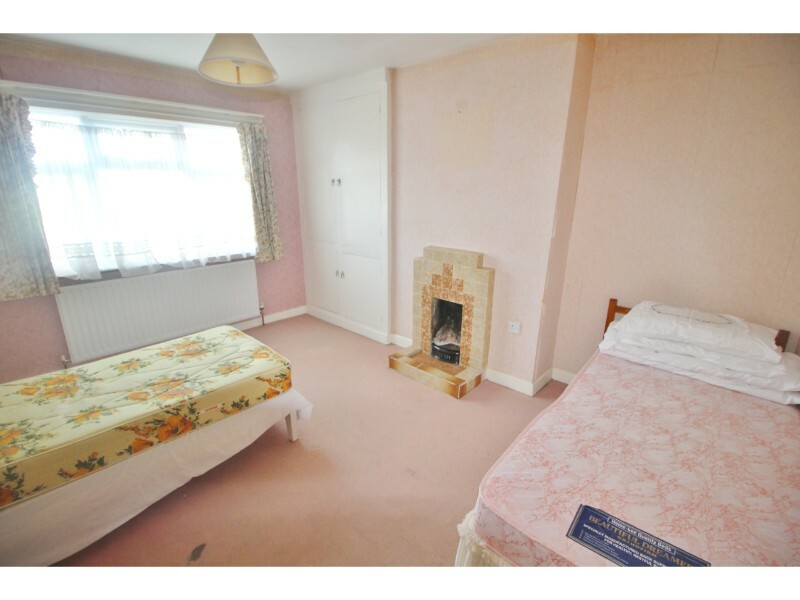 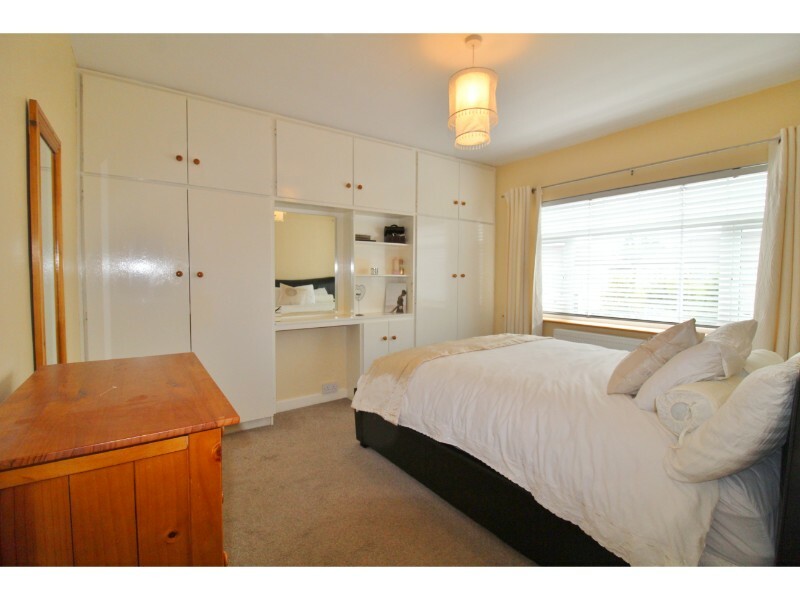 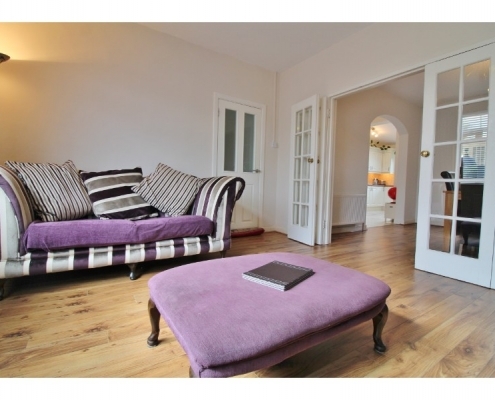 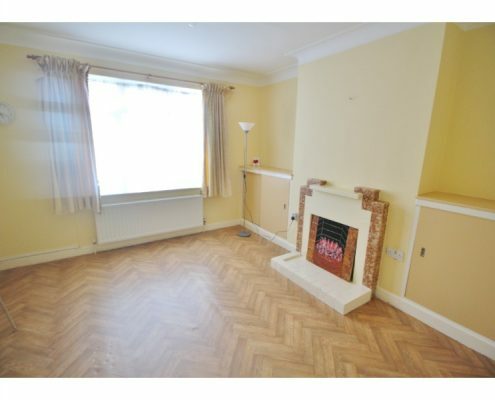 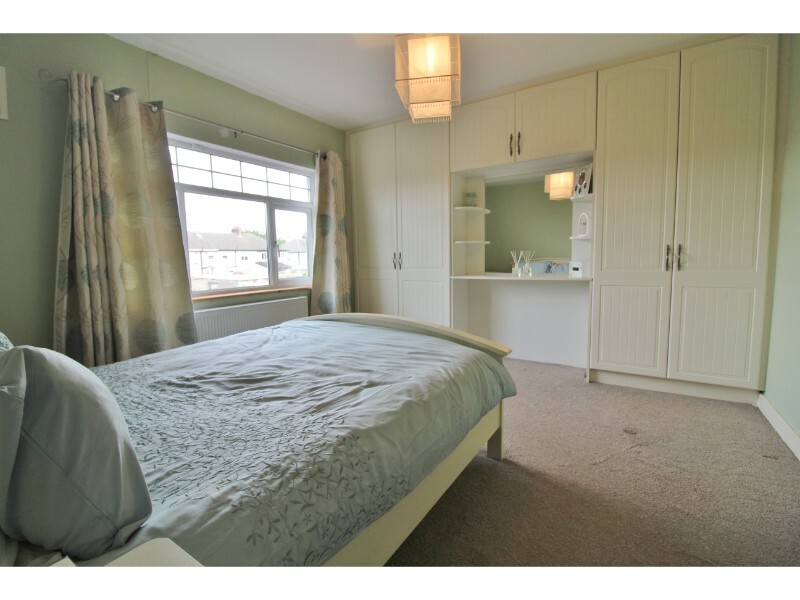 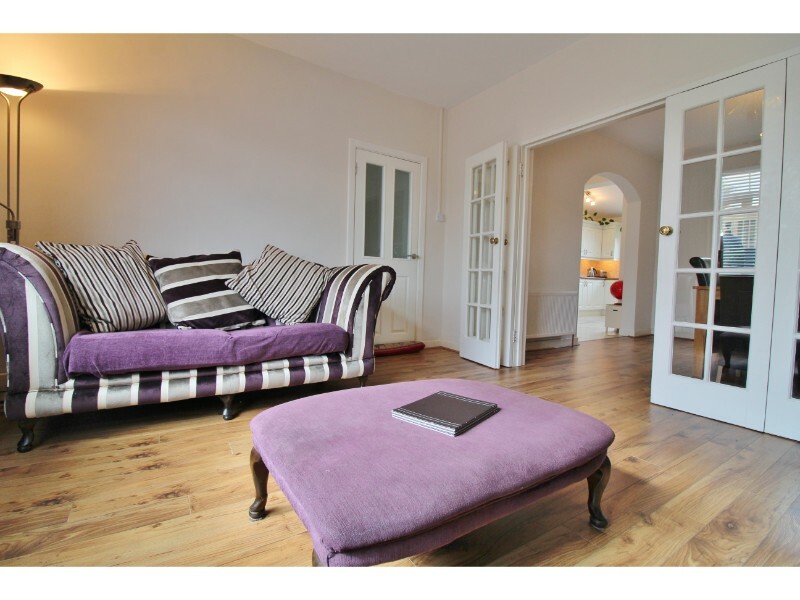 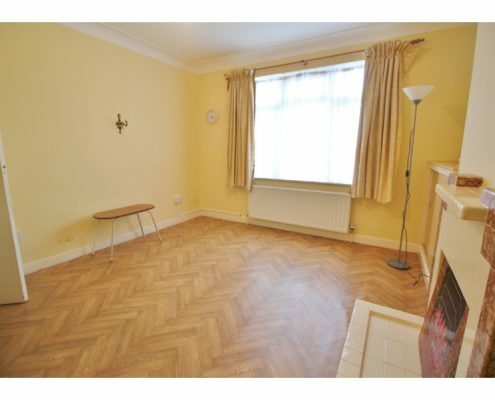 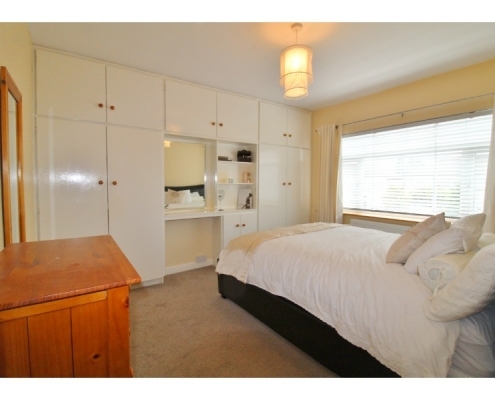 Bedroom 1: 3.51m x 3.94m – Spacious double bedroom with carpeted flooring. 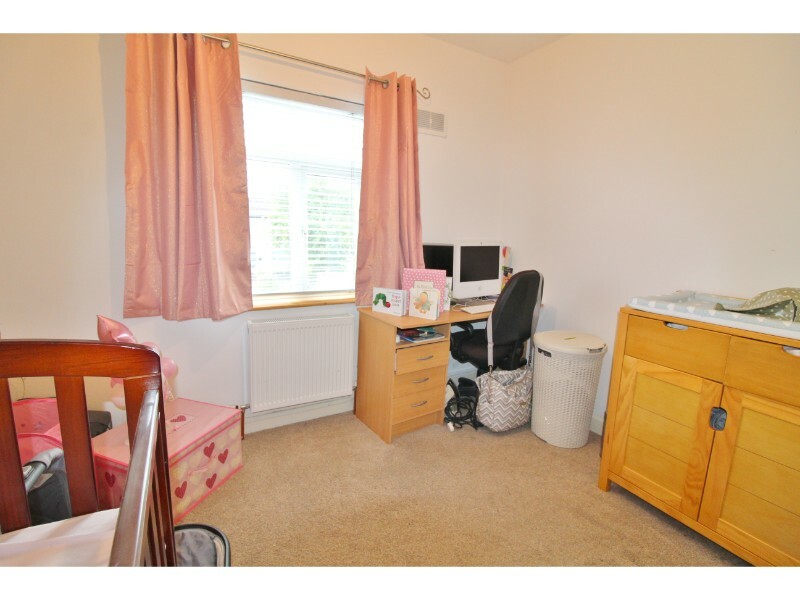 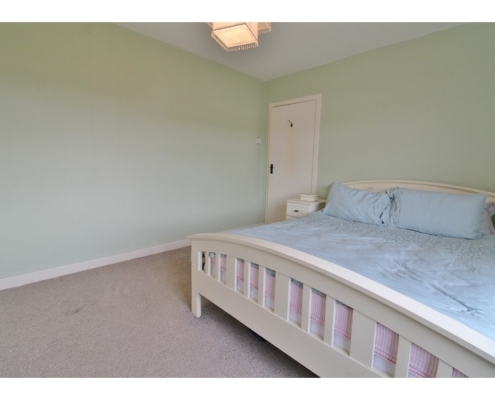 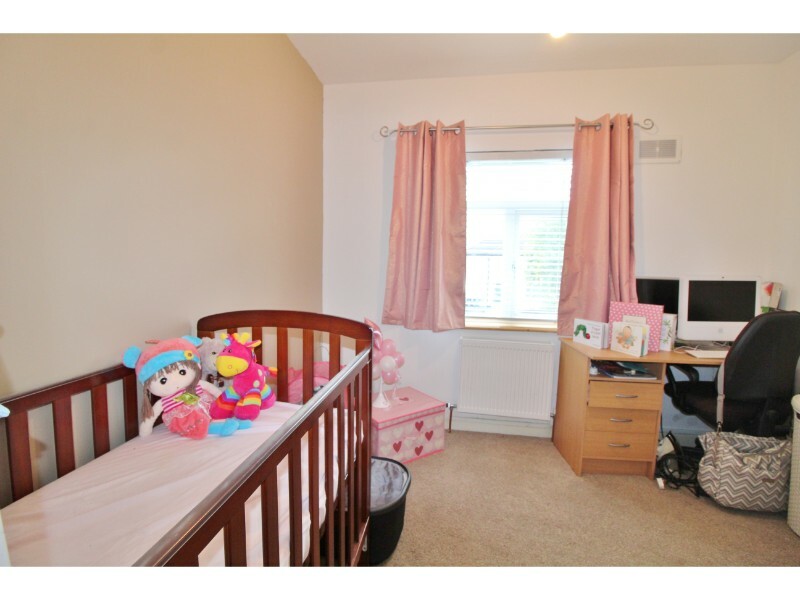 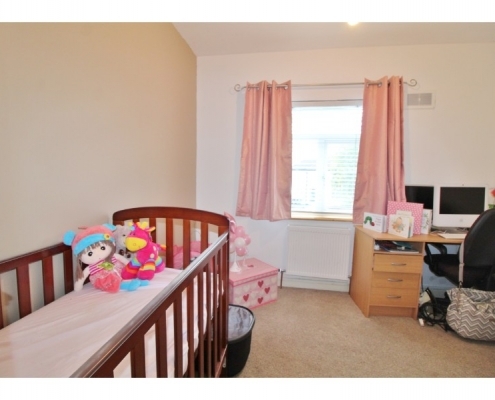 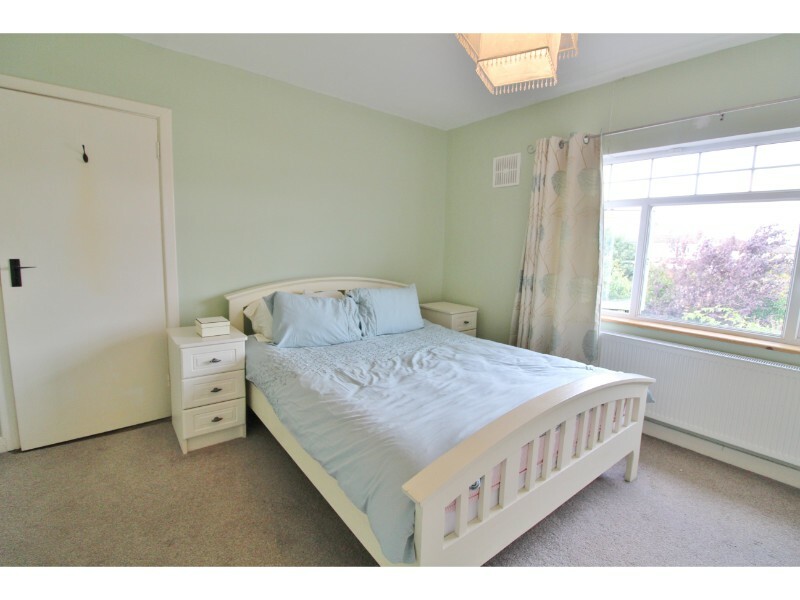 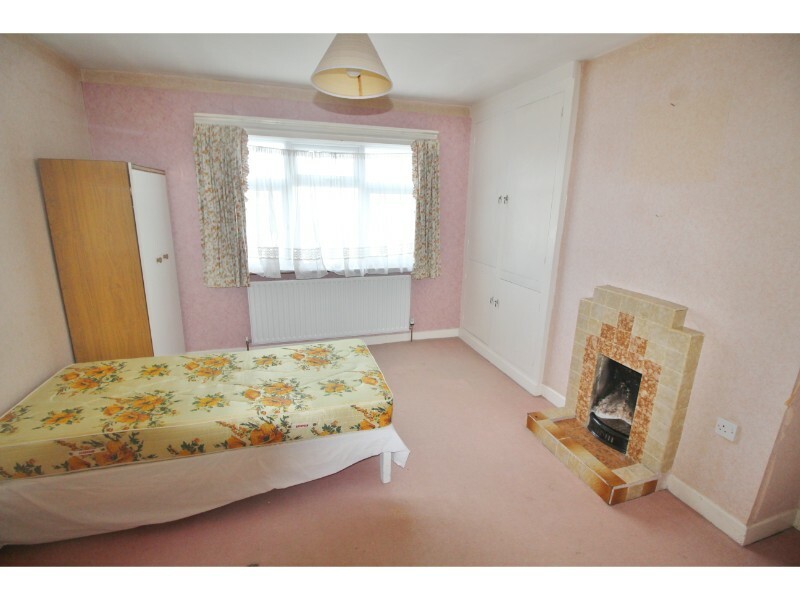 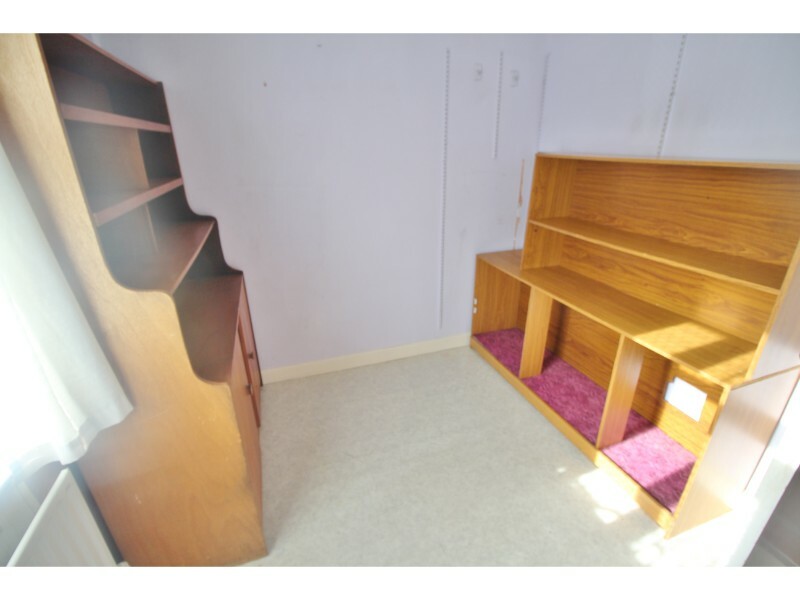 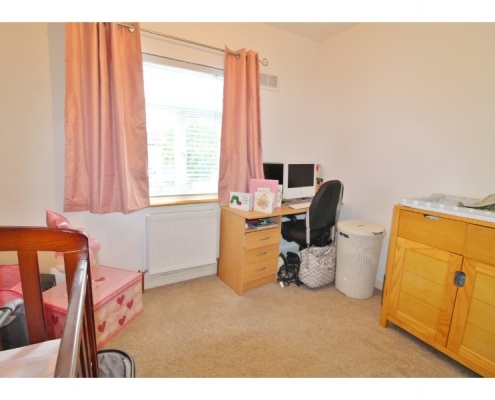 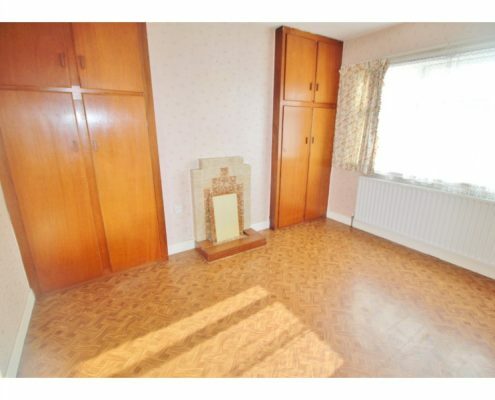 Bedroom 2: 3.68m x 3.65m – Double bedroom with carpet flooring and built in wardrobes. 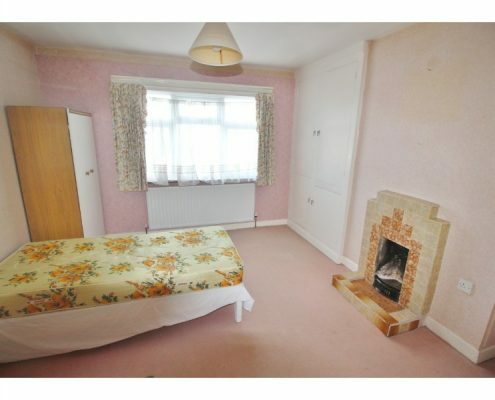 Bedroom 3: 2.89nm x 2.61m – Single bedroom with carpet and built in wardrobe. 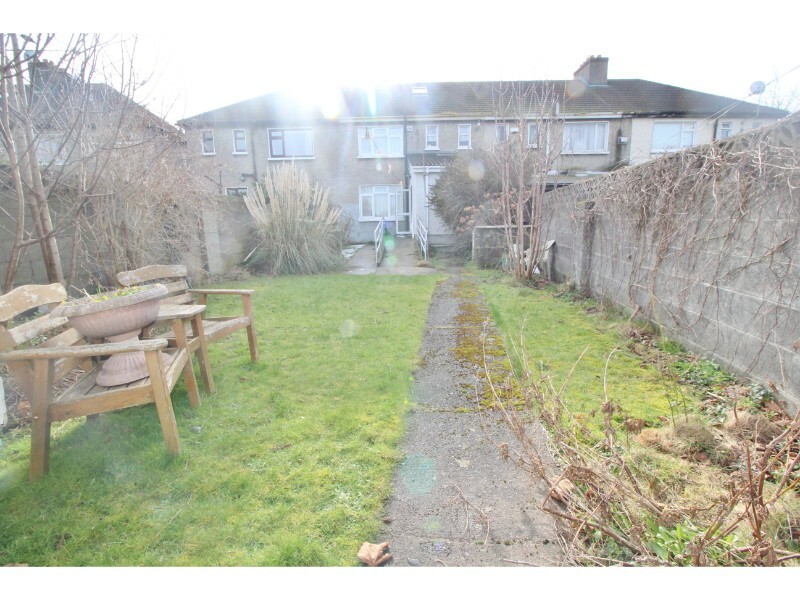 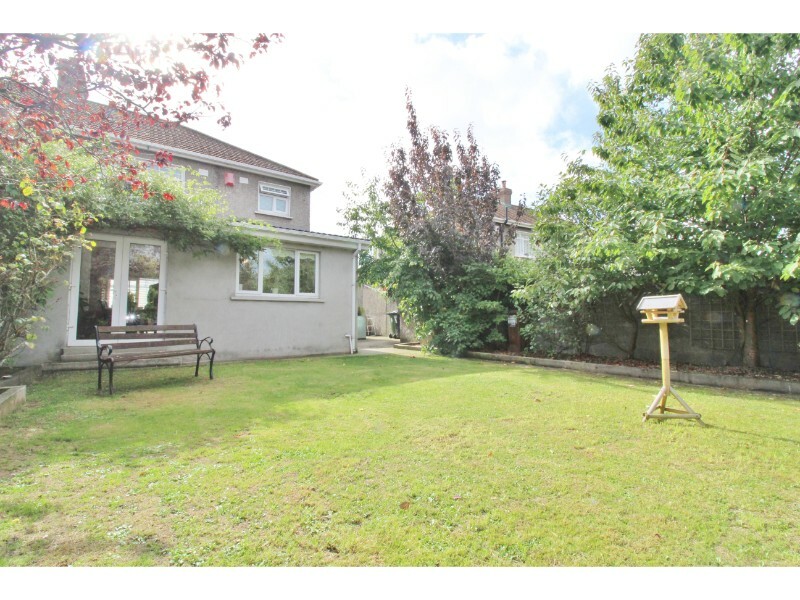 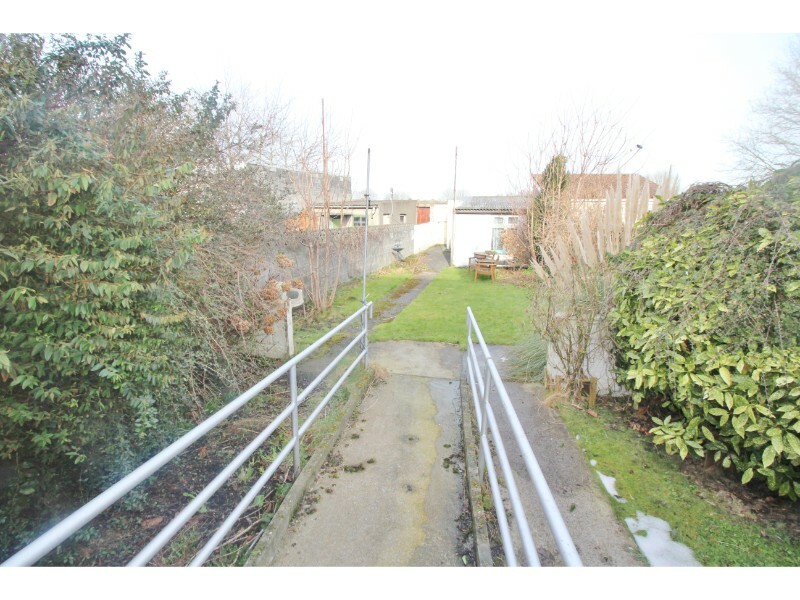 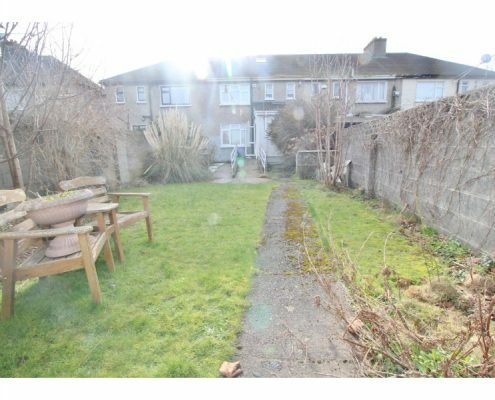 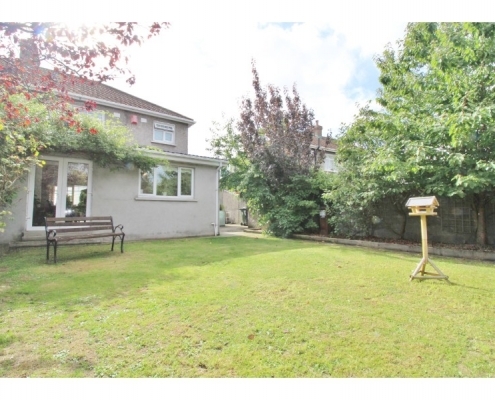 Outside: To the rear is a private rear garden. 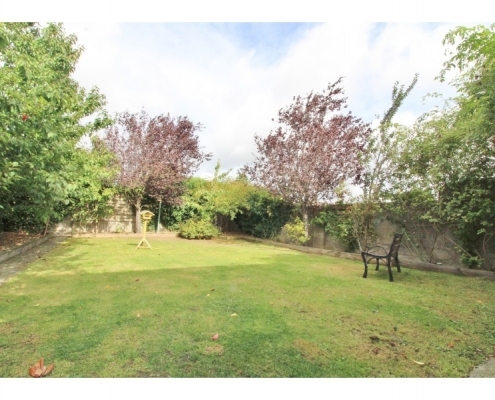 This garden benefits from a sunny orientation and is laid in lawn with tree’s. 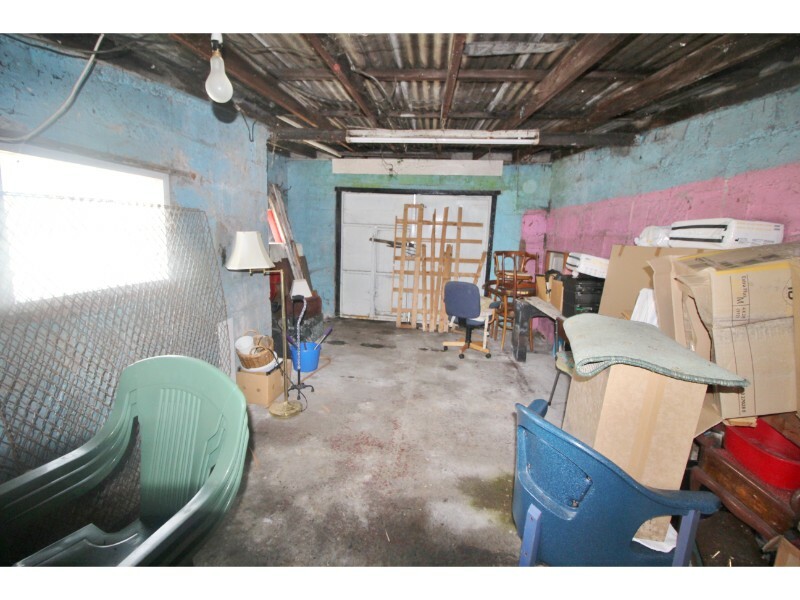 Large garage and side access. 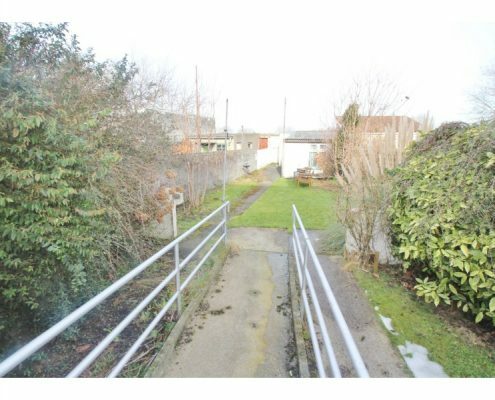 To the front is gated off street parking.